Akuma has used his martial arts to become something more than human, and definitely something more cruel. He treks the globe in search of warriors worthy to be his opponent. Having trained with his brother Gouken under Goutetsu, he learned a nameless assassination style as well as an incredibly powerful technique called Shun Goku Satsu. However, this death technique came with a price, putting the user in great danger. Akuma nonetheless mastered the Shun Goku Satsu by embracing the principle of Satsui no Hadou, or Surge of Murderous Intent, and as a result lost all compassion. 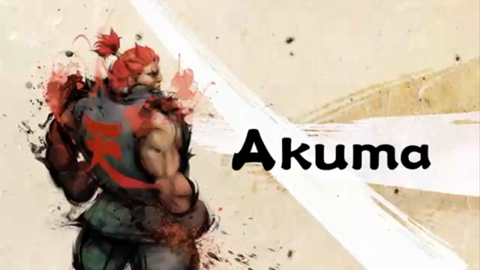 With this new power Akuma killed his master and presumably destroyed his brother. He enters the new fighting tournament looking for another challenge. This page was last edited on 7 March 2010, at 15:06.